Hey AR... Are you in the right position ? CAN YOU FLY... Like ME? Contentment Worldwide created this spot. 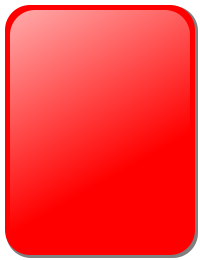 To save you the trouble of being redundantly creative, we have condensed here most of the common excuses for non-participation in the most critical function in the AYSO, USSF, any other Referee associated program. 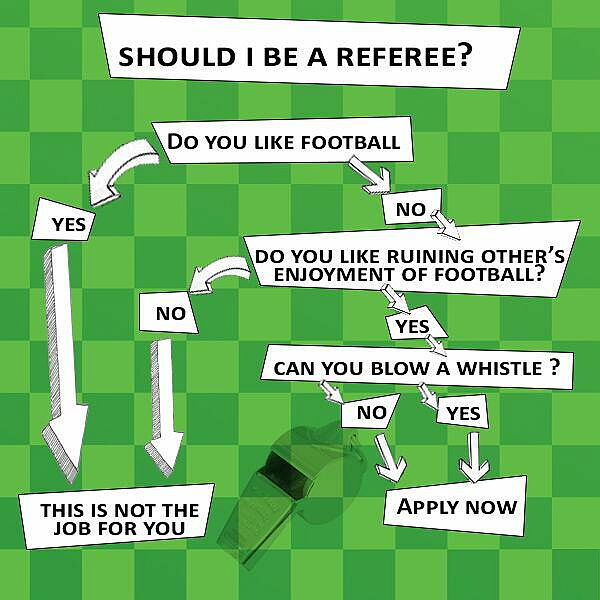 When they come around and ask you to sign up... 'to be a Referee? For your convenience, put an X alongside the excuse or excuses which best apply to you, sign your name and hand it in with your child’s application; OR, fill out an application to be a Referee and learn how much fun soccer can be, not just for your child, but for YOU as well! I DON’T KNOW ANYTHING (ENOUGH) ABOUT THE GAME! Most of us knew little, or less than you, about soccer when we became referees. Not to worry … for the investment of one or two evenings or weekend, we will train you and you will know more about the Laws of the Game than (almost) anyone. 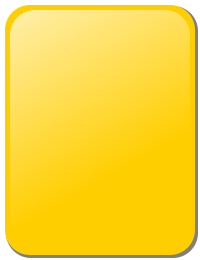 Being a Referee is the perfect slot for those parents & friends who have crowded schedules. Your commitment consists of a couple hours of class and, when the season begins, games are scheduled around your child’s games (when you would be down at the fields anyway). I’M NOT THE RIGHT KIND OF PERSON! I’M IN TOO HIGH A TAX BRACKET TO BE ABLE TO HANDLE THE EXTRA INCOME!!! I’D LOOK SILLY IN THAT UNIFORM! 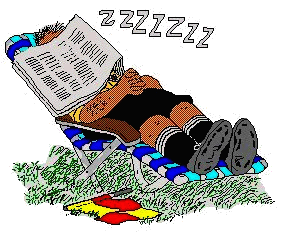 Good heavens . . .you obviously haven’t seen the Referee Administrator! Everyone makes mistakes (even those of us who have been Refereeing for years). The important thing is to approach the job with enthusiasm and enjoyment, because that will be passed on to the players and coaches (and we can team you up with an experienced referee & mentor to help you through the initial games you do). I’M A WOMAN – I NEVER SEE THEM REFEREE! Wrong! We have quite a few woman qualified as Referees – AND THEY ARE GREAT! We could use more! What other time in your life will you ever – with just one breath (or TWEET) – be able to make 22 kids stop what they are doing, actually listen to you, and then do what they are told?!? Well here it is – if in fact you are signed up your child to play AYSO or some other association soccer and you honestly don’t care about the quality, safety, or enjoyment involved in this program . . . Then you have come up with the correct excuse and we no longer have to ask why, because YOU CAN’T BE A REFEREE, and that is that. HOWEVER, if this last excuse does not apply to you (and we hope it doesn’t), then we need you badly. IN RETURN, we promise you – ENJOYMENT – EXERCISE – COMMITMENT – A FREE UNIFORM – AND you’ll never be able to watch any major sport quite the same way again. AND ON TOP OF ALL THAT . . . the kids will be darn glad that you were there. If you still don’t think you are the right kind of person for this job . . .
You took the time to read this whole page . . . Right? That means you care . . . That means you are exactly the right kind of person!